It's time for Virginia Beach to Get Shamrocked in honor of St. Patrick's day at the legendary party on Saturday March 16th . Partygoers who have been to the Get Shamrocked bash before know the drill - dress in green and come ready to rock like leprechauns. There's no better way to celebrate the luck of the Irish than with a pint. 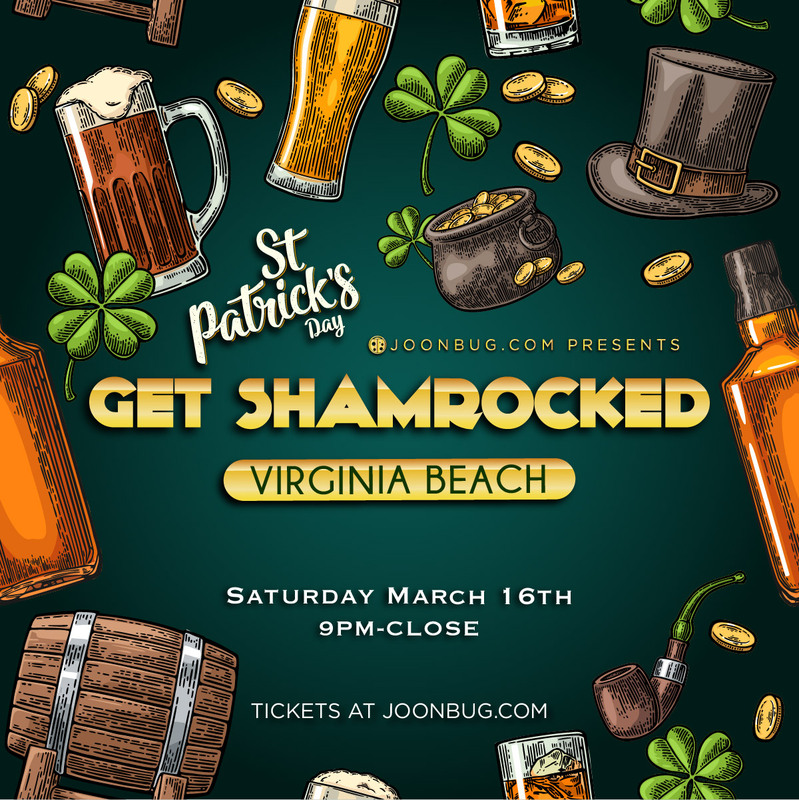 This is just one of the events Joonbug has in store for Virginia Beach on St. Patrick's day weekend. Don't be the only one in Virginia Beach missing out on the boozy festivities this St. Patrick's Day weekend - Get Shamrocked!